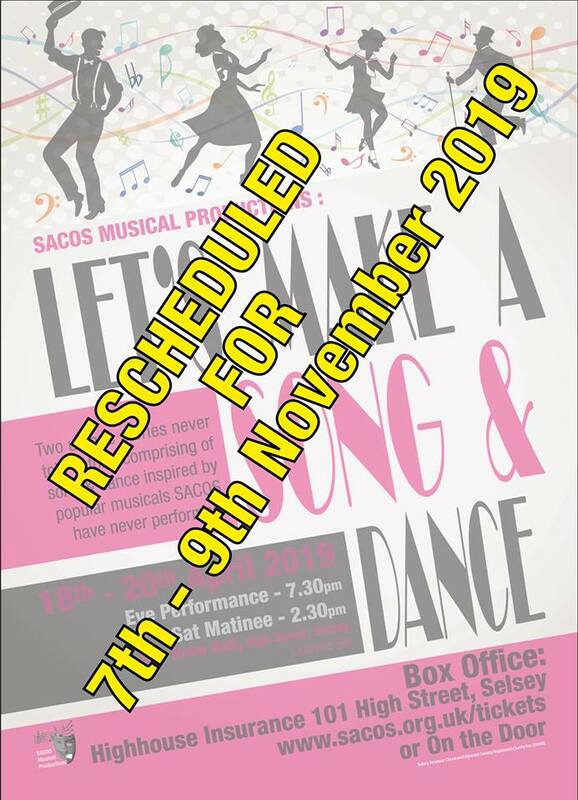 SACOS produces a major musical every spring at the Academy, Selsey and a special production at Christmas, and various fundraising events during the year. We are a friendly crowd and enjoy welcoming new members. The most important thing is … we have FUN! We are really pleased to share the NODA review we received from our recent Old Time Music Hall Show. Sometimes a tragic event like the fire that destroyed the Selsey Academy can have its up-sides. 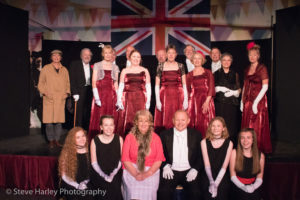 SACOS Musical Productions turned the loss of their usual venue to their advantage and gave us a fantastic evening’s entertainment in an atmospheric venue, with their presentation of an Old Time Music Hall at the Pavilion in Selsey. They have also secured the services of a new director, Lesley Lowy, who has lots of experience with this type of theatre and, judging by the standards set in this performance, will obviously be a big asset to the group. Right from the start, we knew we were in for a good evening. Kevin Gauntlett was the perfect Music Hall Chairman and has clearly missed his vocation as a stand-up comic. He had the audience in the palm of his hand from the word go, whipping up enthusiasm panto-style, with an apparently inexhaustible supply of corny old jokes and superlatives. He also demonstrated his fine singing voice and even narrated the melodrama. All of the company numbers were well-choreographed, beautifully costumed and precisely performed, despite the limitations of the tiny stage, with difficult entrances and exits. They gave us lots of good old cockney sing-alongs, plenty of cheerful seaside songs and ended with a patriotic, flag-waving medley. Interspersing the company numbers were many solos, duets, sketches and even a silent melodrama. The songs weren’t just sung, they were acted, with many well-executed comic touches. Everything, in fact, that you would expect to find in a quality Old Time Music Hall, and the packed audience were absolutely delighted with all they were given. It seems invidious to single out some items, but I will mention a few of my favourites – please don’t be offended if you are not mentioned, they were all superb. The Boy in the Gallery was sung so touchingly by Mary Bensley, you really believed there was someone up there waving (I even looked to check). The very tricky Crossover Sketch, taken from Underneath the Arches, was hilarious and timed to perfection. Similarly hilarious was the Broken Blossoms sketch, from the same show. Ellis Berg, obviously a local favourite, is a great performer both of the songs he sang and the monologue The Lion and Albert. Josette Coulston really tugged at our heartstrings with Why Am I Always the Bridesmaid? and John McLaughlin’s rendition of Boys of the Old Brigade was painfully moving. Les Hilton appeared many times – a natural comic, he added the perfect touch to everything he did, but I particularly enjoyed his constant rearrangement of the choir at the start of Act 2. The Silent Melodrama was a piece of genius, imitating the old silent films, and I loved the arrival of the Company Train! However, the piece that left me with tears rolling down my face was If I Were Not Upon This Stage, a number I’ve seen performed many times before but never resulting in such unadulterated chaos and hilarity. A great way to end Act 1. None of this would have been possible without pianist Sylvia Rota, who worked so hard throughout the evening, providing exactly the right accompaniment to all the numbers, especially during the Silent Melodrama where the style of music changed with every action. Congratulations too to the hard-working stage crew, who swiftly cleared and set chairs and props, helping to maintain the rapid pace of the show, and to the wardrobe department for kitting everyone out with such colourful and good quality costumes, all of the right period. 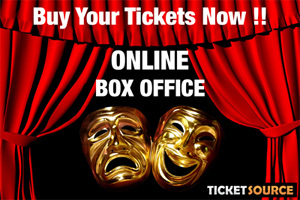 You only had to listen to the enthusiastic response and look at the delight on the faces of the capacity audience to know that this show was an incredible success – involving and delighting everyone present. Congratulations to everyone involved. If you would like any information please contact us via this form or on.